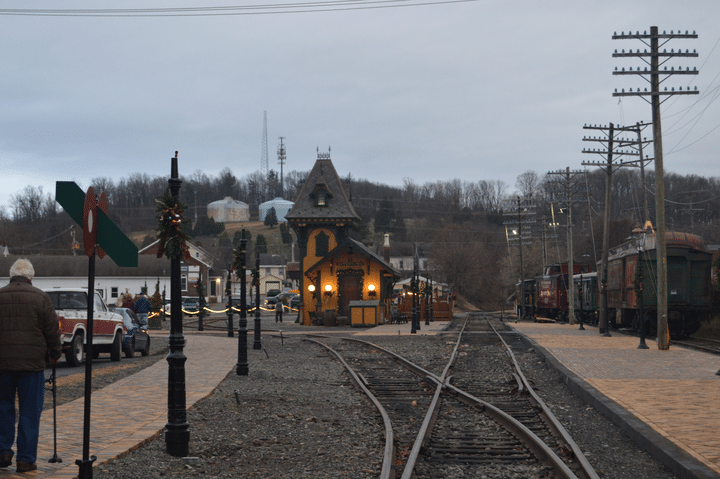 The Boyertown Station, home base in Berks County for the historic Colebrookdale Railroad, recently celebrated the lighting of the first two of what will eventually be 50 natural gas lanterns in the yards surrounding the station. UGI is providing the natural gas service to the station and contributed the cost of installation for the connecting fuel lines. The Colebrookdale Railroad is a renovated Edwardian-style passenger train evoking the grandeur and splendor of early 1900s train travel. The Colebrookdale Railroad Preservation Trust is transforming the Boyertown Yard into a lavish English garden, complete with fountain and a park-like setting. Each of the gas lights illuminating the yard are sponsored by a donor. With its stained glass, polished mahogany and gold leaf features, passengers visiting the station are taken back to a time when train travel was truly a luxury. 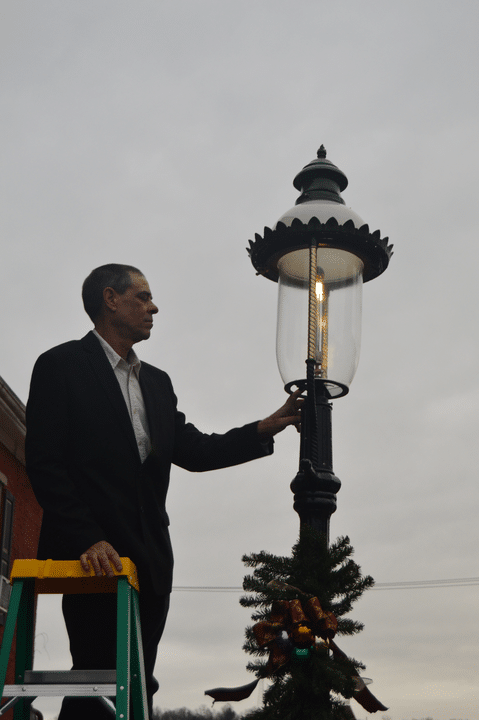 As additional lanterns are installed and lit in the Boyertown Yard surrounding the station, visitors will witness the growth of the only gas light district in Berks County. The Trust is encouraging contributions to help light the remaining fixtures throughout the garden. Visit www.colebrookdalerailroad.com for more information. To learn more about bringing natural gas to your community, visit www.ugi.com/economic-development/.